Learn self-defense techniques from around the world in our martial arts classes. These classes are fun, educational, and provide full-body workouts. 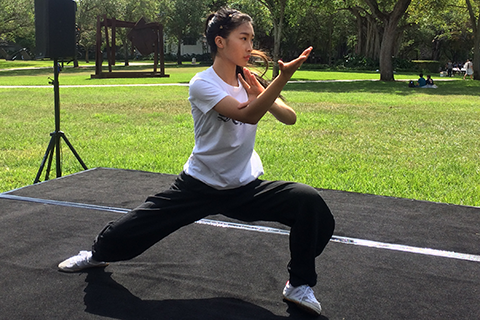 Learn the martial art from China that has been practiced for centuries and is famous worldwide for its profound benefits in physical and mental health and longevity. The Taiji principles and theory that will be covered over the course include breathing methods, still standing meditation and stationary postures to build strength, endurance, improve balance and stimulate Chi circulation. SUNDAY, 4:00 – 5:00 p.m.